From Goodreads: When Olwen Nia Evans learns that her family is moving from San Francisco to Wales to fulfill her great-grandmother’s dying wish, she starts having strange and vivid dreams about her family’s past. But nothing she sees in her dreams of the old country–the people, the places–makes any sense. Could it all be the result of an overactive imagination . . . or could everything she’s been told about her ancestors be a lie? 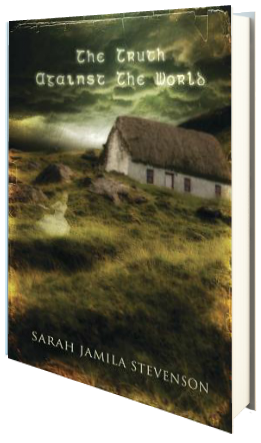 Once in Wales, she meets Gareth Lewis, a boy plagued by dreams of his own–visions he can’t shake after meeting a ghost among the misty cairns along the Welsh seaside. This was a very interesting concept, but the development of the story was just a tad slow for me. Part of this stems from the fact that I was able to predict many of the events prior to them happening, which in turn made the mystery aspect of the novel fall a bit flat. I did like the main characters, but much of their conversations and actions didn’t pique my interest. Much time is spent leading up to their meeting and hashing out theories, but I didn’t feel that there was very much action within the novel at all, and I really need more action to keep my attention. Unfortunately, this novel just wasn’t for me. Two stars. I received an ARC of this novel from the publisher, via Netgalley, in exchange for an honest review.